We’re building a list of resources and partners… churches, counselors, spiritual directors, organizations, anyone that can be a source of support for sexual minorities. If you or your organization would like to be added, please email info@oneeastern.com. Thanks! Germantown Mennonite Church – “proclaiming peace and justice since 1683” – Germantown Mennonite Church seeks to experience the full richness of Christ’s body by welcoming into our full life and ministry all who freely desire to join us in our Christian walk; inclusive of the diversity of age, education, ethnicity, gender, economic or social class, race, sexual orientation, physical or mental conditition, or residence. Evangelical Lutheran Church of the Atonement – A “Reconciling in Christ” congregation – Evangelical Lutheran Church of the Atonement is located in the heart of the Fishtown neighborhood in Philadelphia. Sanctuary Counseling – “Seek comfort. Seek hope. Seek healing. 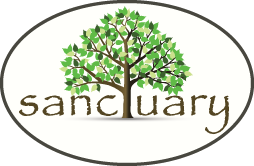 Seek sanctuary.” – Sanctuary Counseling‘s philosophy and approach is one of welcome and inclusion for all. Their practitioners are firmly committed and trained to provide competent, experienced, and affirming therapy services to the LGBT+ community. Yes! And... Collaborative Arts iMagination Programming – “Building individuals and communities through Collaborative Arts iMagination Programming” – Yes! And… equips children and young people with the tools to become better learners, to believe in themselves, their dreams, and their potential through the work of creating collaboratively with their peers and professional artists.